I'm an editor who loves to bake and cook. 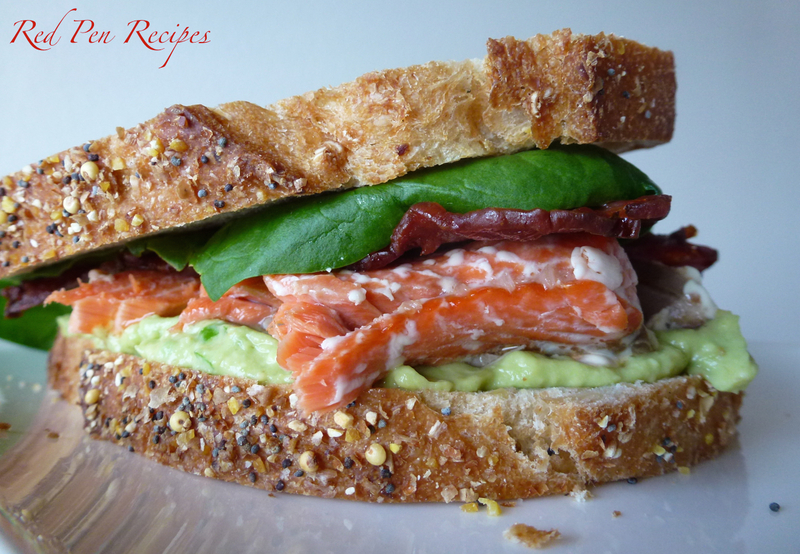 I try recipes and edit them according to my liking and make lots of notes in my cookbooks. I update this blog every Sunday morning. Irish food was the theme for this month’s team potluck. Even though I’m one-quarter Irish, I didn’t know what to bake. I don’t have any family recipes that have been handed down for generations. So I did what I normally do when I’m trying to get an idea of what to make: I turned to Google. The problem was that the results were mostly for trifles, or were just desserts with whiskey in them. As much as I like whiskey, adding it to a recipe doesn’t make food Irish by default. When an acquaintance suggested I make soda bread, but dress it up so it was more like a dessert and divide it into smaller portions so it was like scones, I thought that was a brilliant idea. In a large bowl, combine flour, oats, baking soda, and salt. Add lemon juice, cream, and honey. Stir in cherries. Divide the dough into four portions. Using floured hands, shape each portion into a disc that’s about an inch thick. Cut disc into four sections and place individual pieces on cookie sheets. 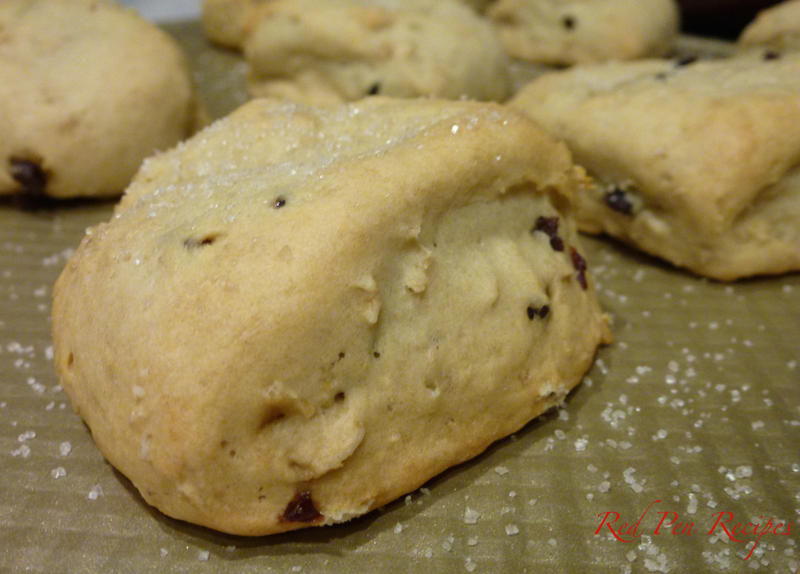 Press about a teaspoon of coarse sugar onto the top of each scone. Bake for 10-12 minutes or until lightly golden brown. Serve. I’ve been attending a lecture series on animals by Seattle Arts and Lectures. During one of the lectures, the speaker discussed the farming industry and mentioned that the rate at which humans consume meat simply isn’t sustainable as the population continues to grow. He mentioned finding alternate products, such as items made by Field Roast, a Seattle-based company that makes meat-like products out of grains and vegetables as a protein alternative. On my next trip to the store, I spotted some Field Roast sausage on the shelf, so I picked it up to try it. I’ve never liked regular sausage—mostly because of the texture—but this appeared to be a little different. I broke one of the links up and added it to a scramble the next day. It was really good. I still had a link left when I got a craving for pizza last night. I didn’t want to wait too long for pizza dough to rise properly, so I opened up my Smitten Kitchen cookbook to the recipe for Rushed Pizza Dough and got to work. As the dough was rising, I looked through my fridge for more toppings and found some locally made goat cheese and some Beecher’s Smoked Flagship cheese. I thought they’d help tone down the spiciness of the sausage a bit. I also had some fresh pesto and dill on hand to round out the flavors. It was definitely the best pizza I’ve made in recent memory, and a combination I plan on recreating. Preheat oven to warm (200-225 degrees F) for 5 minutes; then turn it off. Pour 1/2 cup warm water into a large mixing bowl, sprinkle the yeast over the water, and let it stand for 5 minutes. Add the flour, then salt, and mix with a wooden spoon until a rough, craggy mass forms. Turn dough and any loose bits out onto lightly floured counter, and knead for 5 minutes or until a smooth, elastic dough forms. Coat inside of mixing bowl with olive oil, place dough back in bowl, then cover with plastic wrap. Place in previously warmed oven, and let it sit for 30 minutes, or until doubled. Remove dough from oven and preheat oven to 425 degrees. Using your hands, shape the dough into a circle on a baking sheet lined with parchment paper. Spread the pesto around the shaped dough, leaving about a half inch of space between the sauce and the edges. 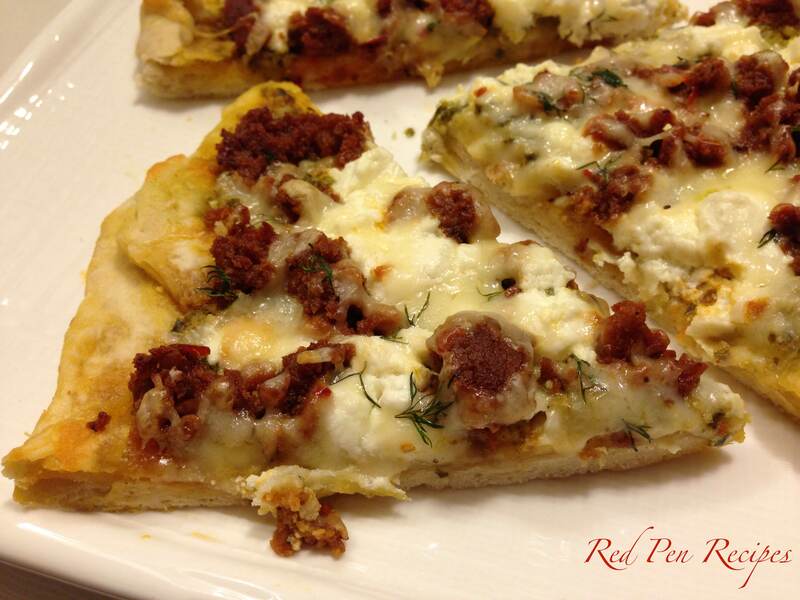 Break apart the sausage and sprinkle onto the pizza. Do the same with the goat cheese. Grate the goat cheese over the top, and sprinkle the dill on. Bake for 10 minutes, or until crust is lightly browned. Cut and serve. When I make risotto, I usually add asparagus and a couple drops of white truffle oil and call it a day. But last week I wanted to play around and see what I could come up with. 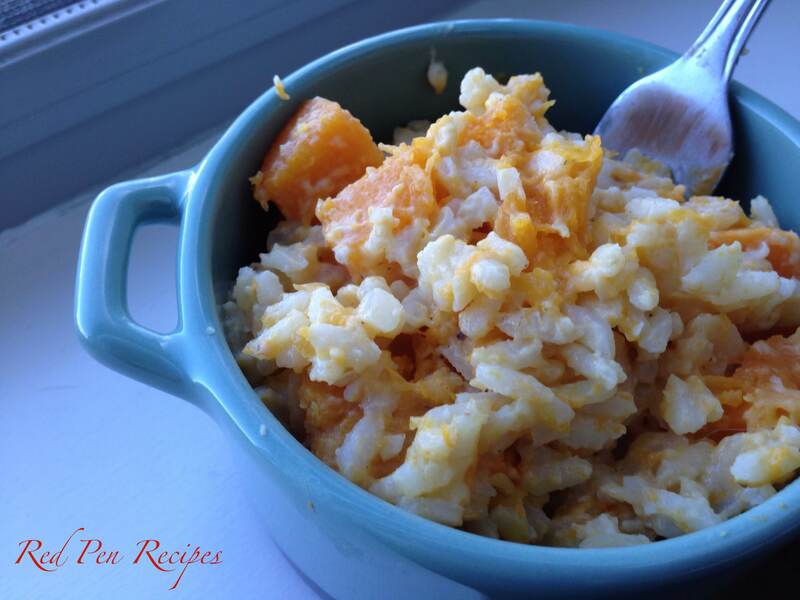 The result was a butternut squash risotto that I will definitely make again. I like the natural sweetness of butternut squash, so I thought it would be a good starting point to choose a different vegetable to add. That gave me direction in choosing the rest of the seasonings for the risotto, which ended up being slightly sweet, really creamy, and full of flavor. Beware if you’re cooking for one, because this makes a large amount of risotto. If you just want enough for a few servings for yourself, I recommend cutting the recipe in half. Preheat the oven to 375 degrees. Place a piece of parchment paper on a baking sheet. Peel the butternut squash and remove the seeds. Place the butternut squash, cut side down, on the baking sheet. Rub with cooking oil or spray with cooking spray. Bake for about 40 minutes, or until squash is tender. Meanwhile, heat a large frying pan over medium heat. Add a splash of cooking oil, the onion, and the garlic. Once onions are translucent, add rice and stir until slightly browned. Turn heat to medium-high and add riesling. Simmer until wine is absorbed. Stir. Add 2 cups of the chicken broth and simmer until absorbed. Add the remaining two cups and simmer until absorbed. Add cream and stir until just combined. Rice should be tender. Turn off heat. Add butter and seasoning ingredients. Cut squash into small cubes and stir into risotto. Serve. 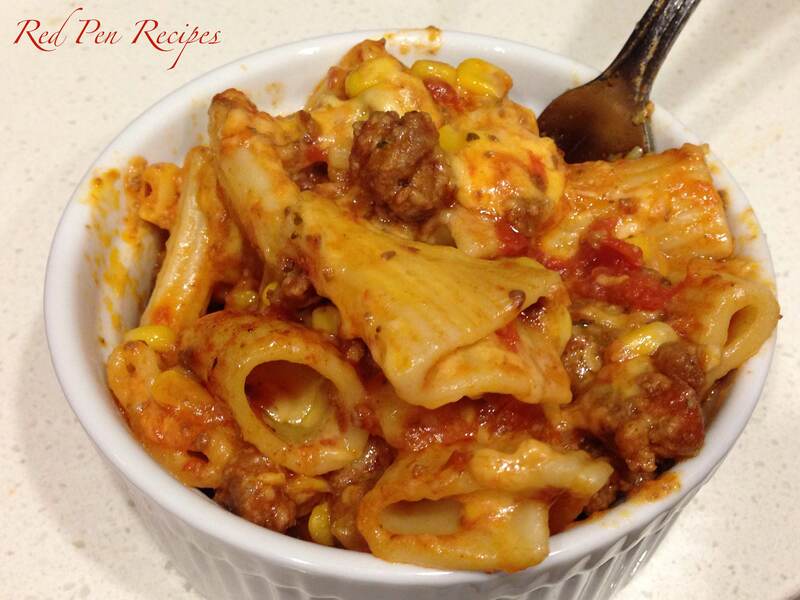 Did anyone else grow up eating goulash? I’m not talking about the stew so much as the pasta version. Is that a weird Midwestern dish West Coasters haven’t heard of? I had an odd hankering for it last week, so I made a batch and, when I took some of the leftovers to work for my lunch, my coworkers didn’t seem to know what it was when I told them. The only one who had heard of it was from the Midwest, which is where my mom’s side of the family is from. I didn’t know if this was a dish grandma concocted and mom carried on making, or something more people ate. For those of you who haven’t had it, it’s kind of a more deluxe, less cheesy version of macaroni and cheese. In any case, my mom wasn’t home to answer the phone when I called for the recipe last week, so I made a version of it based on what I remembered eating when I was a kid. The store didn’t have large elbow noodles—which is traditionally used for this—so I went with rigatoni, which I ended up liking because there was more room for the sauce inside of the noodles. The sauce in this version was a little thicker than I remember it being in my mom’s version, but it was good. Not bad for making it from memory. If you don’t want to add the cheese and bake it, you can serve it right out of the frying pan. Bring a large pot of water to a boil over high heat. Add the rigatoni and boil until cooked. Drain and set aside. Meanwhile, in a large frying pan over medium heat, cook the ground beef until browned. Add the tomato sauce, diced tomatoes, and corn and simmer. Add the pasta, garlic, herbs, and spices. Stir until combined. Pour a third of the goulash into a dutch oven. Top with 1/3 cup of the cheese. Repeat three times. Bake for 30 minutes. Serve warm.